A lot of efforts go into the compilation of these monthly e newsletters. Some of the contributions from our subscribers are exclusive. 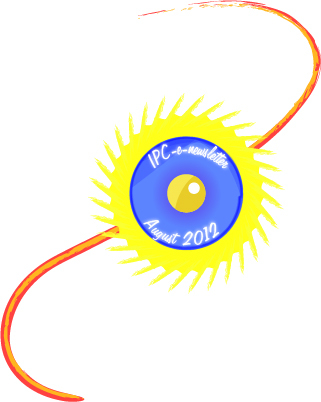 Welcome to the August 2012 edition of the IPC e-newsletter. The IPC e newsletter is distributed free to more than 4000 people around the world. (Reuters) - German chemicals maker BASF and oil major Shell have been told by a Brazilian court to pay $382 million into a compensation fund for former employees at a pesticides plant who said their health suffered from working there. BASF said on Tuesday it would appeal the ruling and would continue talks with the plaintiffs and with Shell to reach an out-of-court settlement. A Shell spokeswoman said: "Shell does not agree with this decision, but we will abide by it until appeals have been ruled on by higher courts". Jotun Powder Coatings, one of the world’s leading producers and distributors of powder coatings, has announced the global launch of ‘Reveal Tempo,’ a new generation low temperature curing product. This revolutionary powder coating addresses the demand of today’s Original Equipment Manufacturer (OEM) market for a powder coating that cures faster and/or at low temperatures, driving an increase in productivity, a reduction in energy costs and the ability to coat more heat sensitive objects. ‘Reveal Tempo’ has been developed for both wet and dry applications, allowing it to be used for a wide range of applications ranging from appliances to fixtures and furniture. ‘Reveal Tempo’ can cure at temperatures as low as 130°C/20min, and as high as 180°C/ 3min, giving users a range of benefits when compared to standard technology. Users can significantly increase the number of goods coated, enjoy up to 25% in energy savings, coat heat sensitive objects, facilitate the curing of pre-assembled materials, or even combine several of those benefits, resulting in a mix of increased productivity and energy savings. ‘Reveal Tempo’ offers superior mileage and appearance and can be easily applied at a thickness of 55 µm or even lower when it is applied on an organic primer such as an e-coat. The new product, once applied, delivers an overall good flow and smooth finish. ‘Reveal Tempo, which’ is available in standard white, light colors and a range of other colors, is eco- friendly and does not contain any solvents, so no amounts of Volatile Organic Compounds (VOCs) are released into the air. Unused or over sprayed powder can be recycled with minimal wastage, and disposal is easy and safe. In addition, all Jotun Powder Coatings’ products do not contain lead. Jotun is one of the world's leading manufacturers of paints, coatings and powder coatings. The group has 74 companies and 39 production facilities in 43 countries on all continents. In addition, Jotun has agents, branch offices and distributors in more than 80 countries. Jotun's total sales in 2010 were NOK 13,452 million, and have today 7,800 employees. The Jotun Group has four divisions, and its head office in Sandefjord, Norway. Jotun Powder Coatings is committed to develop, produce and deliver solutions that create value through consistency in application, enhanced appearance and superior durability. Jotun Powder Coatings operate in three key segments, Industrial and Specialities, Architectural and Functional. As a powder manufacturer, Jotun powder coatings are environmentally friendly and do not contain any solvents, unused or over sprayed powder can be recycled with minimal wastage and disposal is easy and safe. All Jotun powder coatings products are lead free. As a most professional and quick-growing surface finishing industry's event, SF EXPO is always committed to improving the surface finishing industry in all aspects, creating the biggest value for the clients and providing all surface finishers with a perfect platform for business cooperation, technology exchange and information share. The 10th Guangzhou (China) International Surface Finishing, Electroplating and Coating Exhibition is jointly organized by China Surface Engineering Association Electroplating Branch, China Surface Engineering Association Painting Branch, and Wise Exhibition (Guangdong) Co., Ltd..The organizer continues its cooperation with domestic and overseas associations and international media to hold co current conferences, industry summit, and technology seminars. The worldwide excellent surface finishers and industries come together to discuss the dynamic global development in surface finishing industry and sustainable development or solution for energy-saving and environment-friendly production so as to improve product value. On the basis of its accumulated rescources and professional operation experience, the scale and effect of the 10th exhibition will be greatly improved to 20,000 square meters' exhibition area and 300 predicted exhibitors. With its 20,000 professional attendees, it will be one of the most important surface finishing pageant in the world. The 9th Guangzhou (China) International Surface Finishing, Electroplating and Coating Exhibition was held in Guangzhou International Convention and Exhibition Center on 11-13th, May, 2011. Through the two-year strong propaganda, this event has attracted 238 exhibitors from 17 countries and regions. Its exhibition area reaches 15,000 square meters. The three days exhibition was visited by 14498 attendees and 21 associations and big-scale enterprise groups from all over the world. Cocurrent events were held: The 9th Guangzhou (China) International Coatings, Printing Inks & Adhesives Exhibition, International Symposium on Surface Finishing Industry Development and New Product, Technology Promotion Conference, Members' Assembly of Marketing Working Committee of China Surface Engineering Association, Annual Meeting of Guangdong and Guangzhou Electroplating Association, The International Plating Technical Forum (Guangdong Electroplating Association), Awarding Ceremony for Outstanding Surface Finishing Enterprises, etc. The biennial exhibition attracts more exhibitors and visitors with its careful preparation and advertising compaign. Exhibitors benefit from the firm exhibition theme, clear target audience division and high supply-demand match. Professional organization and market operation are achieved by the host, Wise Exhibition (Guangdong) Co., Ltd., which was founded in 1999 and now is one of the governing unit of Guangdong Exhibition Association. Wise is always committed to planning and organization of professional industry exhibitions, building brand events, integrating industry rescources and accumulating millions of enterprise data. Currently, a complete plan was formed for modernized exhibition organization and control. This exhibition became renowned and influential in the world through worldwide advertising compaign. 9)Environmental protection, security and resource recycle equipments; cleaning devices, waste liquid treatment, dust and fume extraction, ventilation and air pollution control. Chinese and English fascia (name-board), a table, two chairs, carpeted floor, two exhibition lights and a paper basket. Free editorial entries within 300 words in the Exhibition Directory for each exhibitor. For the bare Ground, no facility is provided and the hall management fee is RMB 28/m2. Berger Paints India Ltd is looking for “suitable” acquisitions. Mr Abhijit Roy, the new Managing Director and Chief Executive Officer, told Business Line that merchant bankers had been told to look for potential targets — both in the country and abroad. “In the overseas market, we are looking for acquisition of technology. However, in the domestic market any acquisition move should be driven by the possibility of increasing market share,” Mr Roy said. The company is implementing a number of greenfield and brownfield capacity addition programmes to increase domestic production from 24,000 tonnes in 2011-12 to 44,000 tonnes in 2012-13. The total project cost is estimated at Rs 250 crore. The No.2 Indian paint company has entered Poland through an acquisition which boasts of energy efficient and protective external insulation finishing system. Berger Paints is also present in Russia and Nepal through subsidiaries. PITTSBURGH, July 12, 2012 – PPG Industries (NYSE:PPG) announced today that it has received the necessary approvals from Indian authorities to expand its coatings joint venture and also to create a second joint venture with Asian Paints Ltd. (APL), India’s largest coatings company. Financial terms were not disclosed. PPG and APL will expand their current 50-50 joint venture, Mumbai-based Asian PPG Industries, to now serve India’s industrial liquid, marine, consumer packaging and transportation coatings customers. PPG and APL also will form a second 50-50 joint venture, Asian Paints PPG Limited, to serve protective, industrial powder, industrial container and light industrial coatings customers. “The expansion of PPG’s more than 15-year successful relationship with Asian Paints will position both companies for accelerated growth in nondecorative coatings to take advantage of the long-term growth of the Indian economy,” said Mike Horton, president, PPG Asia Pacific, and vice president, automotive refinish and architectural coatings, Asia Pacific. There was a fire at one of the raw material storage rooms of Akzo Nobel India Ltd's Mohali factory. The standalone fire was controlled and contained quickly by the efforts of the Punjab and Chandigarh Fire Services and the Company's security staff. Except for the Storage room, rest of the factory building is not damaged. The cause of the fire is being determined. The Asian Paints stock plunged 3.4% to Rs. 3,598 on Monday after the company said its sales growth in the June quarter slowed to 12.3%. In the previous four quarters, the paint maker, on an average, posted a 24.7% rise in sales. This time analysts were expecting the company to register around 20% growth in sales. But high inventories at dealers and weak demand led to a subdued performance in the June quarter. The volume contraction in the domestic decorative paint business came as another negative surprise. Emkay Global Financial Services notes that the volumes at the domestic decorative business declined by 2% in June quarter. According to the brokerage house, the company has been posting a volume growth of 9-20% in most of the previous 12 quarters. Although crude prices eased recently, gains were erased by rupee depreciation At a turnover of Rs 2,660 crore, Berger Paints is now the second largest paint company in the country. In an interview to Business Line, the Managing Director, Mr Abhijit Roy, explained his vision to take company to newer heights. Berger is exploring acquisition opportunities in India and abroad. Will you kindly elaborate the strategy behind? In India, we are primarily looking forward to add volumes. In abroad, the guiding force is access to technology which can be brought back to India. How did you gain from acquisition of Bolix in Poland? As a business, Bolix is turned around. We are now planning to launch “Bolix EIFS” – an energy insulation finishing system – in India in another couple of weeks. It guarantees 30 per cent savings on electricity bill. Is EIFS a paint? How costly is this product? It is not a paint. It’s a system by which we put a thick layer of foam on the wall and paint it to protect from weather. This technology is popular in Europe to protect from cold. In India, we developed it for energy savings. It will be useful for businesses such as call centres, cold storages, etc which remain operational round the clock. The product is tested at the Central Building Research Institute (CBRI) at Roorkee. The product is 12-15 times costlier (per sq ft basis) than normal paint. But the cost can be easily recovered through savings on electricity bill. Which technologies you are now eyeing to access through future acquisitions? We are looking forward to technologies in various product categories such as industrial paint, high end wood coat. Wood coat is used in premium wood products such as kitchen cabinet, etc. 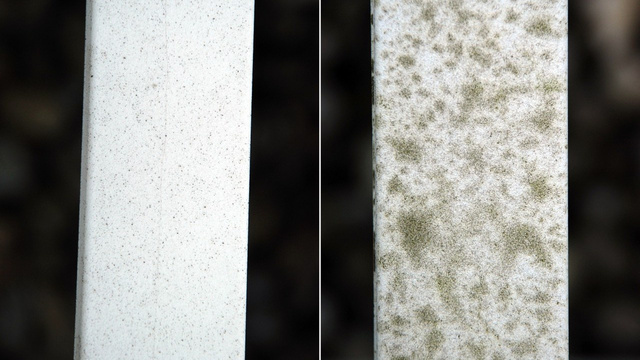 New sunlight-activated plastic lawn furniture keeps itself clean and white after two years of sitting outdoors, new research finds. The same ingredient that kills bacteria and fungi in that plastic could one day go into paint for antibacterial walls and a coating for smudge-resistant touchscreens, the researchers say. Akzo Nobel India has brought in Bang in the Middle on board as the digital communication partner for Dulux Paints. Bang in the Middle would be responsible for strategising and implementing a suite of digital services to spruce up Dulux’s online presence. Naresh Gupta, managing partner, Bang in the Middle, told Campaign India that the agency won the business following a pitch. "Dulux will allocate between 5 to 10 per cent of their media budget to digital. Hopefully by next month the first bit of work on social media will be released. Its an ongoing process and we will be releasing work consistently," he said. PITTSBURGH, July 2, 2012 – PPG Industries (NYSE:PPG) has earned recognition as a Partner-level supplier for 2011 in the John Deere Achieving Excellence Program. The Partner-level status is Deere & Company’s highest supplier rating. Pittsburgh-based PPG was selected for the honor based on its dedication to providing products and service of outstanding quality as well as its commitment to continuous improvement. PPG supplies electrocoat, liquid and powder coatings, and pretreatment products to John Deere’s operations globally. AkzoNobel today officially inaugurated its new China head office in Shanghai. It’s another amazing milestone AkzoNobel achieved in its history in China by moving all its 21 businesses in China into one office building. Accommodating up to 1,000 employees who in the past worked in different premises in the city, the China new head office now became the biggest AkzoNobel office complex worldwide. Jotun Group, the manufacturer of paints, coatings and powder coatings, has pledged to increase its presence in China by offering continuous investment in the coming years. As part of its efforts to address the growing demands of the Asian market, the group recently unveiled its powder coatings factory and regional research and development center in China. With a total investment of 200 million yuan ($31.4 million), the new production facility for powder coatings was established at its original factory, which is located in Zhangjiagang, Jiangsu province, and focuses on the production of protective coatings and decorative paints. Eventually your lawn furniture is going to get gross with mould, algae, moss, fungi or other bacterial yuck. While you get to go in and take a shower, your furniture just festers. That’s unless it’s made with titanium dioxide, as these German researchers discovered. A new method to control the phase of titanium dioxide (TiO2) at room temperature has been developed by a research team from North Carolina State University (NC State). The innovation is expected to make the material more efficient in several applications, including optical communication technologies, smart sensors, antimicrobial coatings, hydrogen production and photovoltaic cells. A new technique allows researchers to control the phase of the titanium dioxide by modifying the structure of the titanium trioxide and sapphire substrate. Syria’s regime announced for the first time this week that it has chemical weapons, and stands ready to use them if attacked. A new type of paint could potentially guard against it, protecting tanks and armored vehicles with a special chemical-absorbing topcoat. Scientists at the UK’s Defence Science and Technology Laboratory, like a British DARPA, worked with a company called AkzoNobel to develop the paint. It contains super absorbent silica gel, the same stuff that comes in those little bead-packets inside new shoeboxes and bags. The material can absorb chemicals, like maybe nerve gas, before they could reach a vehicle’s interior. Management of INESFLY Africa Project, a manufacturing company on Monday launched its product christened ‘INESFLY Paint’- a powerful and cost effective tool to control malaria. DuPont net income slipped 3% in the second quarter due to a slide in sales in its performance chemicals, electronics, and safety and protection divisions. Performance chemicals saw sales of $2bn, down 1% – volumes were down 10%, a fall offset by a 9% rising in selling prices. These lower volumes reflect continued softness in titanium dioxide, particularly in Asia Pacific and Europe, and weakening demand in fluoropolymers, claimed the company. I am in powder coating and anodizing since 1998 and am presently working in Nigeria. I have peeling of the powder on thick aluminium profile of about 3 mm thickness or more like , though I follow the curing schedule in calibrated oven with temp tracker and chromate pretreatment. Generally dark colors like RAL 8016, 1303 and 9007,etc have a tendency of peeling on the thick profiles. Can you offer some solution? Thank you for the question. I would start by eliminating possibilities. First check the powder for complete cure. Take a known sample (small test part?) that has been coated and cured to specification. Then check solvent resistance as a measure of cure. Use acetone or a similar solvent. Next check adhesion issues. Take a very clean test part, abrade the surface with sandpaper or Scotchbrite. Then clean thoroughly with solvent and then run through your chromate system. Run one clean part without the chromate as well. There may be something amiss in your chromate system. Also check your coating thickness. Is it abnormally high? Too thick may cause adhesion issues. Also try another powder or powder supplier. Please let me know if any of this helps solve the problem. What could be weather effects on epoxy polyester coated iron; sunny and salty environment and sun exposure? The weather effects would be quite severe. The epoxy-polyester based powder will resist corrosion if formulated correctly, but the UV exposure would quickly degrade the coating. The degradation would manifest itself as chalking, yellowing and eventual polymeric breakdown. If a very thick coating (epoxy-polyester) were applied this may provide protection for a longer period of time, but the coating would be incrementally eroding. Regardless of which technology you consider, it is imperative to have excellent cleaning and metal pretreatment. As for the best system for your to consider - I recommend a high quality polyester or polyurethane applied to a zinc phosphate or iron phosphate pretreatment. An even better system would be a epoxy primer followed by a polyester or polyurethane topcoat. Please forward any questions or comments to askjoepowder@yahoo.com. On this new page you will find a wide variety of industrial events in the field of coatings, adhesives, sealants, construction chemicals and coatings application.